“I am the least of the Apostles, that am not meet to be called an Apostle, because I persecuted the Church of God. But by the grace of God I am what I am.” 1 Cor. xv. 9, 10. Lent is a time of conversion, a time to turn more deeply to God with our hearts and minds. In a sermon on the conversion of St. Paul, Blessed John Henry Newman brings various lessons before the eyes of all of us who also have need of conversion. The Scriptures tell us that Saul went to Damascus to seek out Christians and bring them back to Jerusalem to be put to death. Before that Saul had been present at St. Stephen’s stoning. Then Stephen had prayed God to pardon Saul’s murders. The death of one man thus issued forth the raising of the instrument of salvation for thousands of Gentiles. To convert the world God did not choose one of Christ’s first followers, but one of his followers’ persecutor. And “The prayer of a dying man is the token and occasion of that triumph which He had reserved for Himself. His strength is made perfect in weakness.” God triumphed over his enemy, making out of the persecutor the Apostle, first to the Jews and then to the nations. St. Paul shows us with his life that after his conversion he was a more fit instrument of God’s purposes. And his successes were God’s grace working through him. Newman explains further: “What I mean is, that his awful rashness and blindness, his self-confident, headstrong, cruel rage against the worshippers of the true Messiah, then his strange conversion, then the length of time that elapsed before his solemn ordination, during which he was left to meditate in private on all that had happened, and to anticipate the future,—all this constituted a peculiar preparation for the office of preaching to a lost world, dead in sin.” This preparation gave him insight into the designs of Providence and into the workings of sin in the human heart. 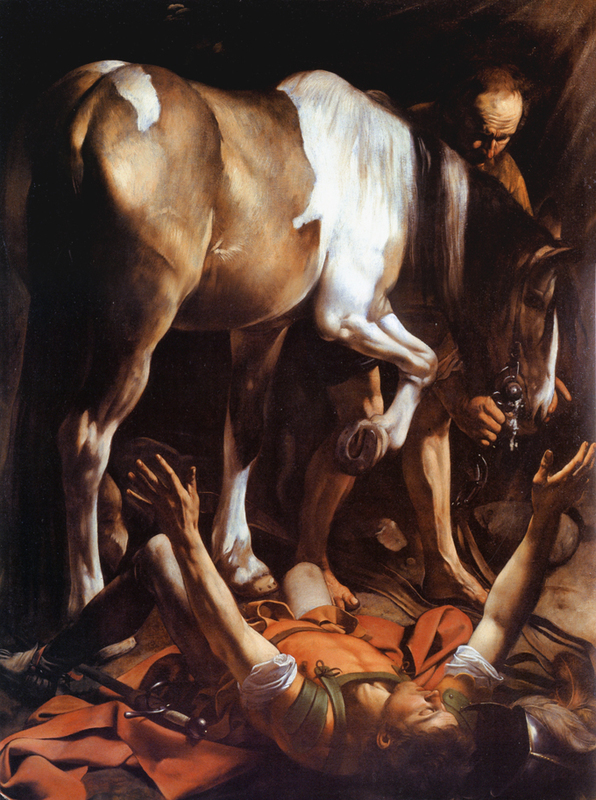 All this led Saul, then called St. Paul, not to despair for the worst of sinners, but to have a profound humility and “... it imparted to him a practical wisdom how to apply them to the conversion of others, so as to be weak with the weak, and strong with the strong, to bear their burdens, to instruct and encourage them, to “strengthen his brethren,” to rejoice and weep with them.” He was granted in good measure knowledge of the hearts of men. Lastly Newman comments that Saul sinned more by ignorance than by contempt of God’s law. God did not abandon him but led him on to the light. God thus deals with other men who obey what they believe to be His will, even if they are in error. This is a great comfort to us, who strive to follow God’s will. Let us live Lent with humility, and allow God to strike us down to the ground on our own road to Damascus, so that we, like St. Paul, may bring the truth to those around us in our lives with kindness and patience.